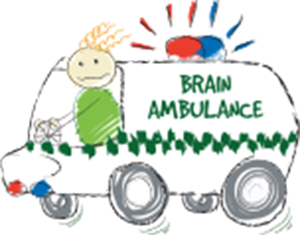 Proudly endorsed by WAAMH (WA Association for Mental Health). 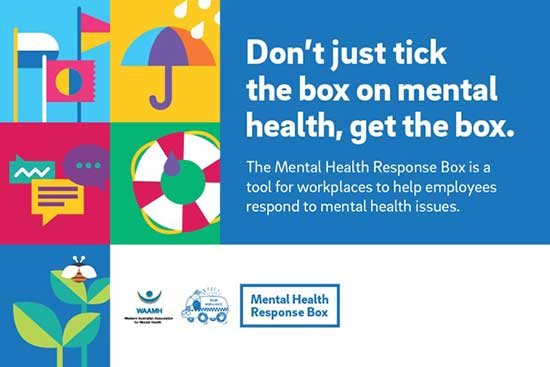 The purpose of the Mental Health Response Box is to provide workers with an easy to identify, physical box to seek help for themselves or others just as they would locate and use a first aid kit for a physical problem. Just like a First Aid kit, the Mental Health Response Box does not require training to be of use for themselves or others. The box contains practical information to direct and inform the user in FIVE different situations. The Mental Health Response Box... not your usual First Aid Kit - A fantastic toolbox for your workplace. "Don't just tick the box on mental health, get the Box". Returning to Work after Mental Health Issues So you have had some time off work with... read more.. If your accreditation has run out and it is time to refresh for another three years, please... read more.. This long awaited training is for HACC, aged care, social and community workers as well as... read more..
MHFA has just realised a 4 HOUR MHFA for the Suicidal Person workshop. Please check out the... read more..